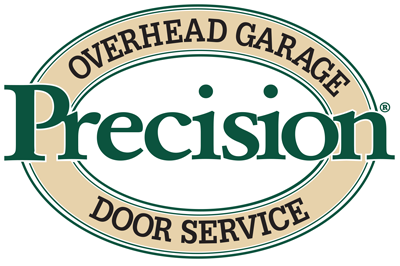 Precision Garage Door of Salt Lake is your number openers along the Wasatch front and Salt Lake City. You have many choices when it comes to choosing a garage door opener. Do you know which is best for you? We can help! We are certified installation experts for a number of name-brand garage door products: namely, Marantec, Precision, Genie, Linearand LiftMaster. Our professionals are trained to install various types of doors for residential and commercial clients. Automatic openers are the most common type of opener these days and they are extremely safe and last longer when they are installed by trained professionals. Chain Drive: This type of opener uses a metal chain to power the opening and closing operation. They are the most common, but are a bit noisy. They are reliable and economical. Belt Drive: These systems are very quiet. It’s reliable and offers long-lasting performance. They are more expensive than chain drive systems. Screw Drive: With this system, the lifting mechanism operates through a threaded steel rod. They are very powerful and have few moving parts. You will rarely have maintenance issues with this type although they are not as quiet as belt drive units. Jackshaft: These systems are designed for places where a traditional opener won’t fit, like garages with low or obstructed ceilings. This system accommodates overhead storage options. We offer a LiftMaster model that has a lifetime warranty for the motor, which means it will last you a very long time. Still unsure which option to choose? Call us to schedule an appointment with one of our professionals. We are here to help and would love to assist you on your journey to finding new garage door openers in Salt Lake City. Call us if you live in Provo, Salt Lake, Ogden, Park City or anywhere in between! You receive several advantages by working with the professionals at Precision Garage Door of Salt Lake. We offer professional installation and repairs for both residential and commercial garage door systems and openers. Our openers are extremely safe and they last longer because we install them correctly the first time. We have years of experience, and we only employ certified and trained technicians, not subcontractors. We stand behind all our work, so contact us today for reliable service for your garage door opener in Salt Lake.